Gears of Halo - Video game reviews, news and cosplay : Did you know Carrie Anne Moss is Aria T'loak in ME3? 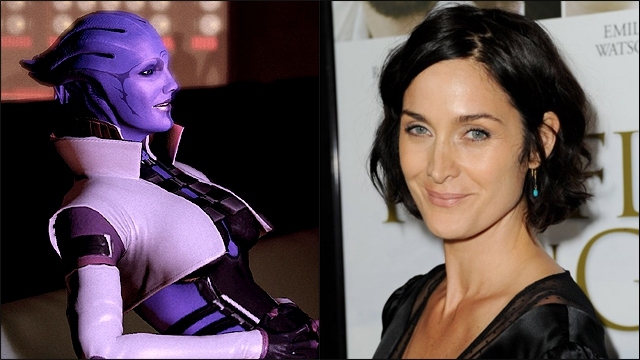 Did you know Carrie Anne Moss is Aria T'loak in ME3? Did you know the the supreme Aria T'loak of Omega was played by Carrie Anne Moss? Une momento - is this why the ending of Mass Effect is apparently at a level of Matrix Revolutions bad? Kotaku has a nice series of images that match the ME3 character to the actor.